By following this 3 step digital marketing framework, every business, regardless of what industry they are in or what business model they follow, can build a highly effective digital marketing system that delivers exceptional results on a consistent and ongoing basis. Have you ever had a random sales person turn up at your doorstep and try to sell you something you had no interest in and didn’t need? Yes, it used to happen to me all the time, until I put my “No salespeople to knock” sticker up. Even then, some ignore it. It’s plain annoying! Imagine the person doing the selling, though……. knocking on a perfect stranger’s door, with no idea of who will answer. With absolutely no knowledge of whether that person has an interest in their product, whether they need their product or if they even care! And yet, this is the approach most people take when doing marketing online! They broadcast information into the internet, for everyone to see (knock on strangers’ doors) and wonder why there is little interest, even fewer visits to their website and no sales from their digital marketing! Of course, there is a BETTER WAY! Nurture – where your focus is on educating your target customers about every aspect of your business, product, service, industry. 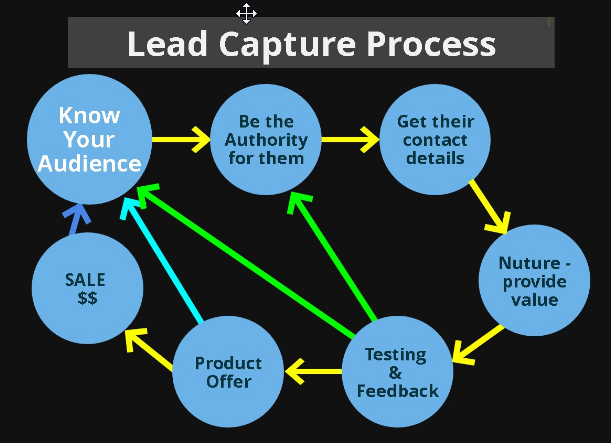 In this phase, your aim is to become the trusted authority for your target customer. Convert – where your focus is on making your offer, converting your leads into paying customers and then delivering even more value than they are expecting, so that they’ll return for more products or services. In today’s inter-connected world, where everyone has an online presence and consumers have information at their fingertips 24/7, it’s vitally important for a business to be doing highly effective digital marketing and be constantly generating leads. Unfortunately, most businesses find this tough to do. Why is digital marketing so important for your small business? What is it and how do I do it? Despite digital marketing having been around for quite some time, most businesses still find it challenging. In today’s rapidly changing world, where everyone spends so much time on the Internet before any purchase, having an effective digital marketing strategy that works online is critical to the success of every business. By following this 3 step framework, any business can easily develop their own, highly effective digital marketing strategy, tactics and system. It’s all TOO Hard, what’s the shortcut? If you think creating a website and posting occasionally on social media is enough for digital marketing you’ll be enormously disappointed with the results! Just publishing a website doesn’t give you a powerful presence online and bring lots of potential customers to you. 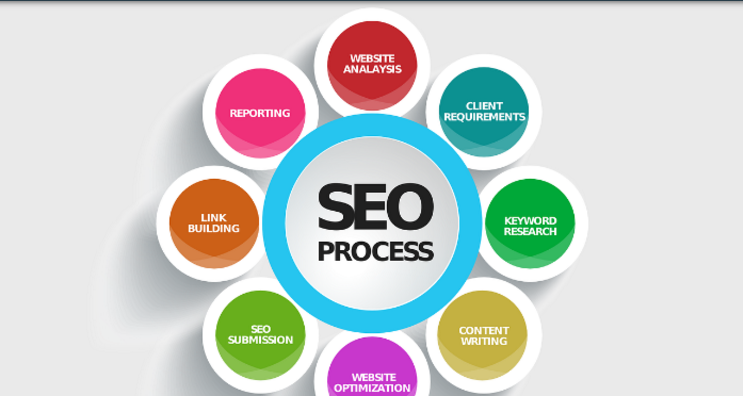 The Internet and the online marketing space is an ever changing and highly dynamic environment. People demand the most up to date and valuable information. A website with static content that has not been updated in several years will not alone attract the right kind of visitors that bring results – in fact, probably not attract any website visitors at all. You need a comprehensive and effective digital marketing strategy that works with your website and other online assets to attract new leads to your business and convert those leads to your customers. Highly effective digital marketing isn’t difficult! This post will outline a step by step process you can follow that will get you results quickly. The first step in any digital marketing initiative, just like in any other project, is to know the outcome that we are wanting to achieve. Begin with the end in mind. If you want to be in control of the results you’re getting, you need to be clear about creating your outcomes and generating your results. It’s best to break this outcome into key areas, that are Specific, Measureable, Achievable, Relevant and Time-based (SMART Goals). By doing this, we’ll be able to measure progress (key parts of the framework) and make improvements based on the results. Some example outcomes might be a 20% increase in sales over 6 months, a 30% increase in membership, or increasing the conversion rate of leads to clients by 20%. We can’t be all things to all people, and neither can your product or service. We need to work out who we serve the best and then communicate with that audience. In order to craft an effective and consistent message, we need to have a very clear understanding of who our customers are, what their needs are, who they are influenced by and where they connect with others. A very powerful tool to help in defining your target market is to construct a customer profile. A customer profile is a picture of your ideal customer together with a list of their characteristics, behaviours, fears, frustrations, wants and aspirations. We’ve given this ideal customer a name, a personality and even a real appearance. Now, all our marketing for the product or service, all our communication about the product or service and the content of the service itself is FOR Ellen. Now that we know “Ellen” quite well, it’s time to attract the interest of all the Ellen’s (and Allan’s). We begin by clearly articulating the solution that we have for their needs – what benefits we provide them. Ellen/Allan will want to know the benefits we bring to their unique needs and desires, how we can help them overcome their fears and frustrations and why our solution is better than any other option they have. What are they REALLY looking for? What problem do they know they have? What don’t they know? What will be the outcome for your customer? Once we have attracted interest from Ellen and Allan, we need to build a relationship with them. Clearly, cold selling will rarely work. The customer journey from Awareness through Attention through Desire to a sale is one of building a relationship. The most effective way to continue a dialogue with Ellen and Allan, despite what you might have heard to the contrary, is EMAIL. So we need to get emails for every Ellen and Allan who are interested in our service or product. This is the lead collection stage and involves offering them something of value in return for their email address. Once we have Ellen/Allan’s email address, we can assume that what we offered is of value to them, and can consider them leads for our product or service. Then we begin the relationship and proceed to nurture the leads. Once you have built a great relationship with your Ellens and Allans, you’ve earned the privilege to make a sales offer to them. The conversion process usually consists of multiple steps (unless your product/service is very low priced or the need is so great that price is irrelevant). The first step is an offer that is an easy purchase – the value clearly so far exceeds the price, that purchase is an easy decision for the leads who have already received so much value from you in “free” information. Ellen/Allan are now thinking, you have given them so much value for free, and are excited to see what they will get if they now spend $495 on your “entry level” product. Once they’ve made that purchase, of course you are going to deliver even more exceptional value and WOW them with a great product. At the same time, your nurturing of these, now customers, also should step up to an even higher level. Continue to provide great value information at no charge. Build on that new relationship – now that they’ve given you money, become a customer, the relationship is much stronger, as are the expectations! At this stage of the relationship with your customers, it IS time to offer your higher value and higher priced products. You have consistently delivered exceptional value and demonstrated your competency and built trust and credibility. As long as your products are a match to your customers needs, aspirations, frustrations and fears, they will want to buy more from you. Again it’s time to reflect and take stock, review the outcomes that you want to achieve and find out whether you are progressing toward those outcomes. What’s working well and what needs improvement or adjustment? How can you improve the process and the actions to improve the conversion of leads to customers? Does this information add to your understanding of your target customer? Does it uncover other opportunities? Once we have Ellen and Allan’s contact details and permission to communicate with them, how do we build a relationship, when we may not be meeting with them in person? By providing valuable content and information – content that directly addresses their needs, wants, fears and frustrations; content that makes you the authority for them and their “go-to business”. That content could be in the emails you send. It could be from your website or information that you’ve collected from other experts relevant to their field and their needs. As you build the relationship with your leads, you should measure and test what is most valuable to them and more importantly, what is getting them to engage with you. What type of content gets comments, questions or other feedback? What links in your emails are they selecting and what information do they request more of? In this way, it will be possible to segment your leads into more focused groups and provide each group more exceptionally valuable information that is targeted and personalised to that group. At this point, you should “take stock”, reflect on the outcomes that you want to achieve from the digital marketing campaign and find out whether you are progressing toward that outcome. What’s working well and what needs improvement or adjustment? How can you improve the process and the actions to deliver even more value to your audience and strengthen that relationship even more? DO – collect leads on your website; it is a vital part of the customer journey – it is gaining your website visitors contact details AND permission to communicate with them in future. DO – build a relationship with your leads by providing information of value. DON’T – try to sell to your leads before you have established a relationship. DON’T – spam people on your list. DO – Continue to provide exceptional education to customers. DO – Take Action and get your Digital Marketing launched! Digital Marketing is not difficult. By following this clear framework: Attract – Nurture – Convert, by providing exceptional value to your audience at every step of the customer journey, by building a relationship with your audience and leads, you can build your own highly effective digital marketing strategy and tactics that will deliver you exceptional results. If you liked our article on digital marketing then you’ll LOVE our traffic guide on delivering more traffic and qualified leads to your website. Jürgen is the owner of Innovabiz, who partner with innovative business owners to transform their online presence into a business generation platform that delivers exceptional results. As host of the InnovaBuzz innovation podcast, he has been privileged to interview entrepreneurs from around the world. Jürgen is also a mentor for the largest global community of website and digital marketing consultants. He has led large global multi-national teams across Asia, Europe, India, North America and Australia, before he started Innovabiz in 2007. Jürgen is passionate about helping businesses achieve exceptional results through innovation in internet presence, website development, digital marketing, lead generation and marketing automation. Education: a science degree (with honours) and PhD in chemistry from Monash University as well as marketing qualifications from The Wharton School, University of Pennsylvania and the Melbourne Business School. NLP Master Practitioner. Specialties: Innovative website development and marketing - specializing in online (internet) marketing strategies. Lead generation strategies. Website Development. Project Management.